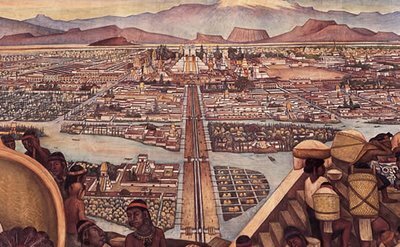 Cibola City is one of the closer kept secrets of the Cibolan Empire. It is the heart of the empire, the seat of the Emperor, and rumored to exist in the literal heart of the jungle as well. That no outside has ever lived to see how deep the jungles of Cibola are, it is difficult to tell how much this later claim should be given credence. What is known is that rulings and official doctrine seem to spring from some nebulous place often called Cibola City, and where the official seal goes fear and dread go with it. The most powerful of Cibola's magics come from there. It is forbidden for any outsider to enter the walls of the city. Those who look on the city without permission are blinded. Bats fly out of Cibola City every night, but these are really the souls of sacrifice sent to do the bidding of the Emperor and his sorcerers.